On a recent trip to Sportlots I found a seller who had a few 2013 Panini Cooperstown cards I needed. 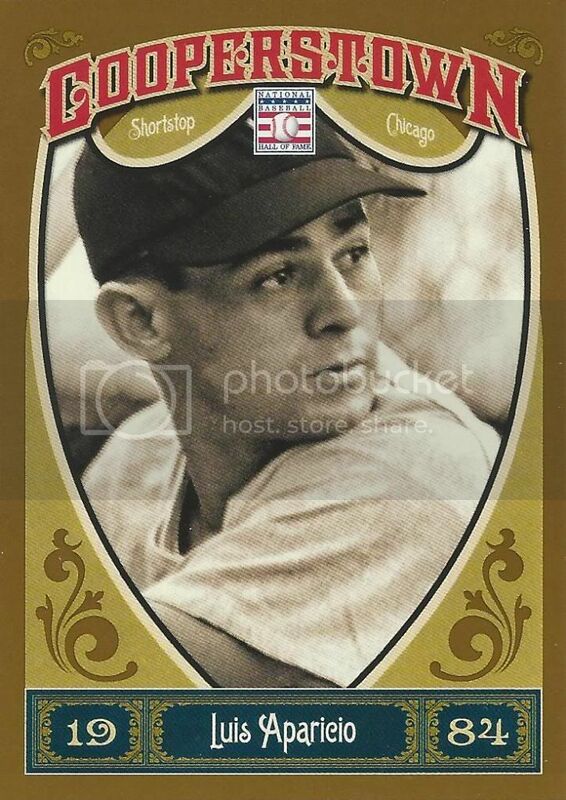 First up is Luis Aparicio's base card. I really like the idea of this Cooperstown set. Of course it would be better if it had logos but I think that horse has been well beaten.